A stolen child, a wizard thought long-dead, and a plot to resurrect an evil menace. Having a child mysteriously disappear is every mother’s worst nightmare. For Queen Irene, the sudden disappearance of her son, Winter, heir to the throne, conjures up all kinds of misgivings. Winter has the magic within him of a wizard. In the wrong hands, Winter could be manipulated to do all kinds of evil deeds. 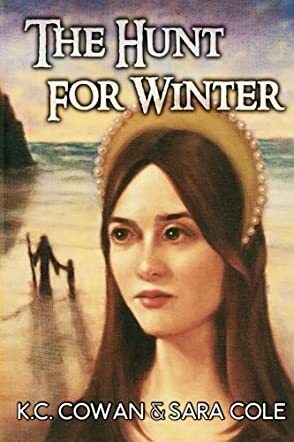 When the royal court’s trusted wizard, Seever, suggests a location of the young prince, the queen sets out with her trusted advisors, and of course Seever, to reclaim Winter before it’s too late. Winter’s twin sister, Spring, manipulates a means to go along to save her brother. What the royal court doesn’t realize is that Winter is in no danger – yet. But the seeds for an evil deed are being planted and, as Queen Irene and her group venture across unknown territory and meet all kinds of danger, Winter is being trained in the arts of evil wizardry. KC Cowan and Sara Cole’s novel, The Hunt for Winter, is an action-packed adventure with a plot full of both good and evil magic and a dark plan to resurrect a terrible horror of the past. This fantasy novel explores some of the deepest secrets of human nature – the good and the bad. What I found interesting is that underneath the fantasy of royalty and wizardry is a deeper message about the many ways in which women are considered and treated unequally. The main clue to this message is the belief (in the novel) that women can’t become wizards because women can’t do magic. As Queen Irene and her group venture across unknown lands to rescue Winter, they encounter many different cultural situations where women are expected to be submissive to males. This is not true in Queen Irene’s court and it certainly causes her women to challenge these beliefs (and to get themselves in trouble by challenging it). A fantastical tale of adventure. I'm looking forward to the next book in the series.